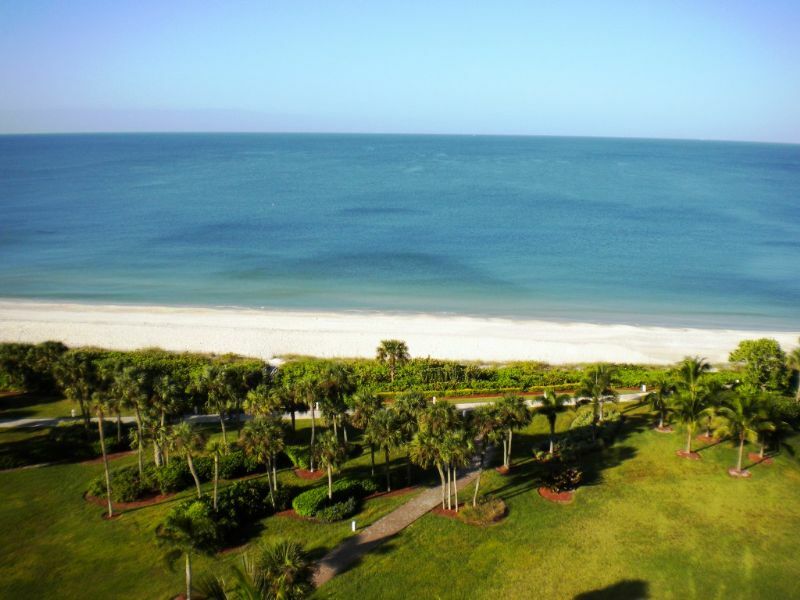 A 24 hour lobby attendant welcomes you to your vacation home located directly on the beach in one of the most prestigious addresses on Gulf Shore Blvd: Le Ciel Park Tower. With it's exhilarating postcard views of the Gulf of Mexico and Venetian Bay, this tastefully appointed 2 bedroom plus den defines luxury waterfront living. An open floor plan allows gracious entertaining in the living room and formal dining area. Enjoy refreshing breezes and alfresco dining on the 40' terrace. The kitchen adjoins a breakfast area overlooking the Gulf. The master suite offers a queen bed and sitting area with endless views. The guest bedroom has twin beds, a full bath, and shares a balcony with the den. Amenities include a pool, fitness center and social room. The Village on Venetian Bay is a short stroll away, and world-class shopping and restaurants on Fifth Avenue South and historic Third Street South are minutes away.